​Vintage lace tablemat appliquéd on Radiance silk cotton mix. Visit any charity store or flea market and you will find beautiful work from the fingers of our ancestors. Fine linens, embroideries, lace and woven items which were made to decorate the homes of our mothers and grandmothers. 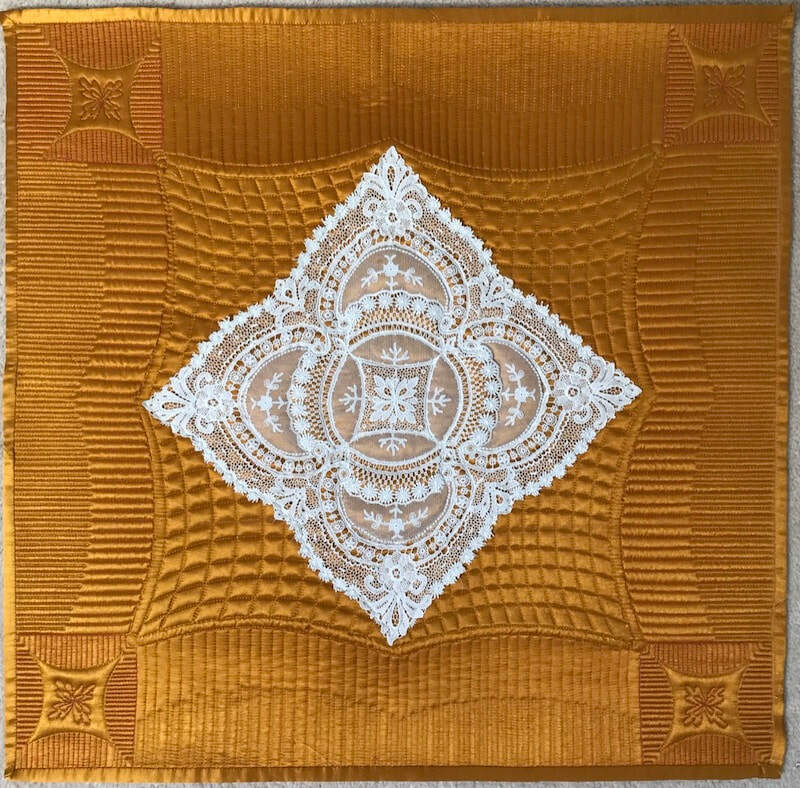 Golden Days was created in response to a group challenge and a small lace cloth, which would have been made for the dressing table or an occasional table, is given a second life by being applied to a wholecloth background on my longarm quilting machine. The lace has such intricacy that I chose to frame it with straight lines with small symmetrical motifs, which echo the central one in the lace, placed in the four corners. It was quite a challenge to do and hence I do not intend this to my my last attempt at making a marriage between past treasures and new quilt art.